This Pat Bagley cartoon appears in The Salt Lake Tribune on Wednesday Feb. 7, 2018 This Pat Bagley cartoon appears in The Salt Lake Tribune on Tuesday, Feb. 06 2018. 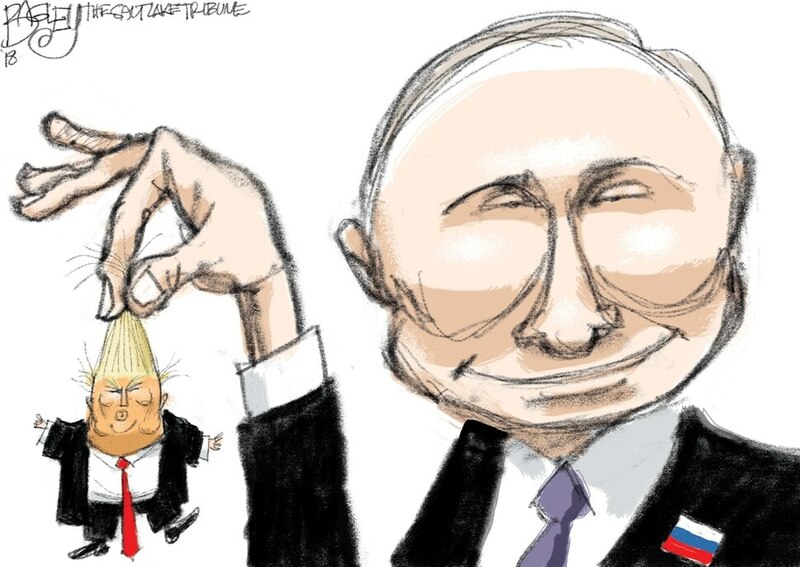 This Pat Bagley cartoon, titled “Dangling Donald” appears in The Salt Lake Tribune on Wednesday, Jan. 31, 2018. This Pat Bagley cartoon appears in The Salt Lake Tribune on Tuesday, Jan. 29, 2018 This Pat Bagley cartoon, titled “The Original Dreamers,” appears in the Salt Lake Tribune Sunday, Jan. 28, 2018 This Pat Bagley cartoon appears in The Salt Lake Tribune on Friday, Jan. 26, 2018 This Pat Bagley cartoon appears in The Salt Lake Tribune on Thursday, Jan. 25, 2018. 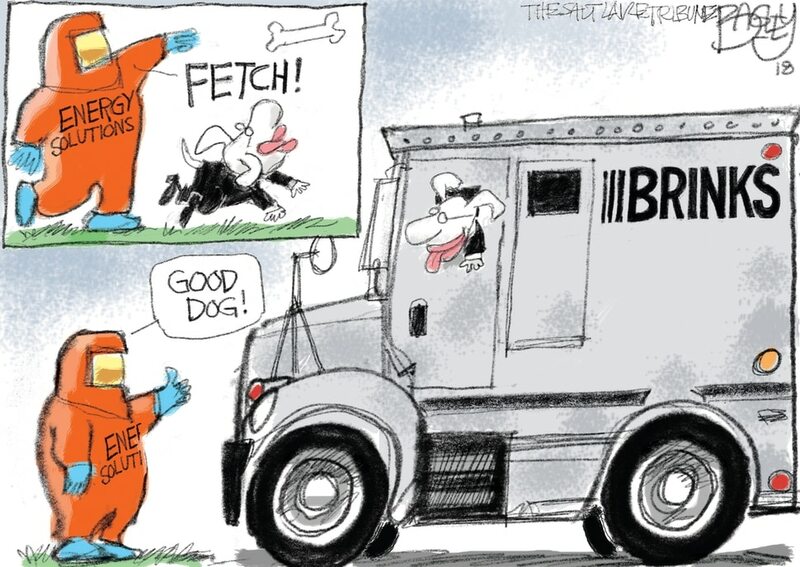 This Pat Bagley cartoon, titled “For the children,” appears in the Salt Lake Tribune Wednesday, Jan. 24, 2018. This Pat Bagley cartoon, titled “Who's a good legislature?” appears in The Salt Lake Tribune on Monday, Jan. 22, 2018. This Pat Bagley cartoon appears in The Salt Lake Tribune on Sunday, Jan. 22, 2018. This Pat Bagley cartoon appears in The Salt Lake Tribune on Friday, Jan. 19, 2018. 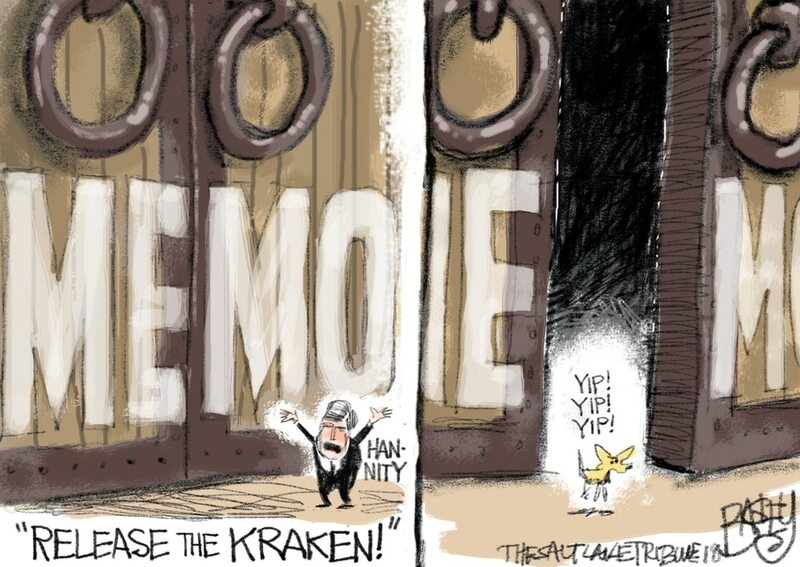 This Pat Bagley cartoon appears in The Salt Lake Tribune on Wednesday, Feb. 7, 2018.